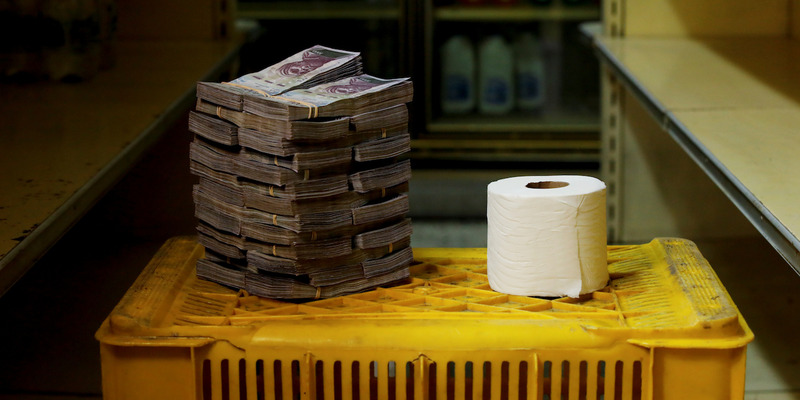 Venezuela's inflation rate just hit 830,000% — and it's going to keep rising. Inflation in Venezuela hits an annual rate of 830,000% — and is likely to keep rising. A report published to the country's Congress by a coalition of opposition parties said that the annual rate had almost doubled since in the month since the last report was published in October. The International Monetary Fund expects inflation to hit 1 million percent by the end of 2018, with local economists expecting a further pick-up in price rises as Christmas bonuses are handed out in the coming month. US President Donald Trump last week signed an executive order to bar US persons from dealing with entities and people involved with "corrupt or deceptive" gold sales from Venezuela.